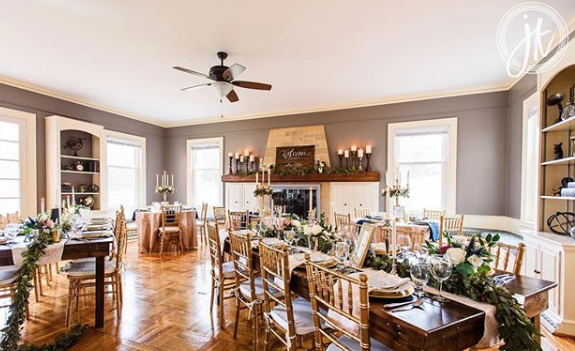 With the kitchen accommodating up to 18 people, you will receive an apron and all the baking supplies you need to create a baby pie from scratch. 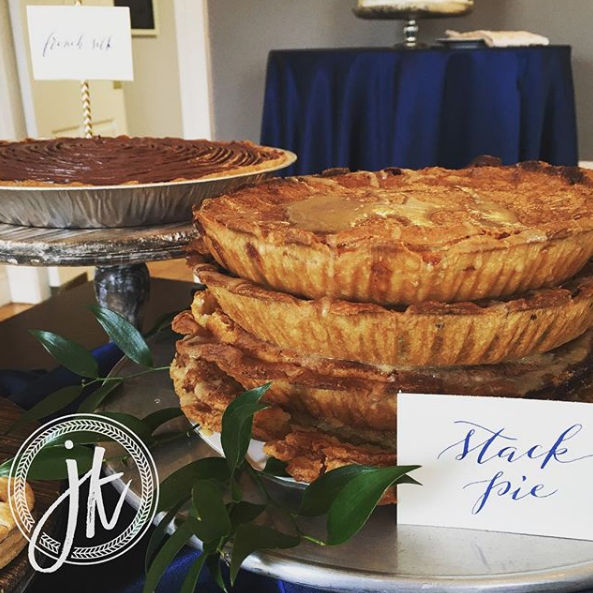 Let your guest of honor choose the pie flavor or decide as a group and transform your simple ball of dough into a masterpiece under our tutelage. P.S. Looking for someone to cater your wedding? We do that too! Learn more about our catering capabilities. Fill out the form and let's party! Have a few questions? We have a few answers. + Q: Who’s right for a PJP baking party? A: EVERYONE. We’ve worked with kids as young as eight and adults celebrating their 65th birthday. We’ve hosted Girls Night Out events, corporate team building events, bridal showers, and everything in between. + Q: What do we do at a PJP baking party? A: You bake pies, of course! Each guest creates, bakes, and takes home a baby pie in the flavor of their group’s choosing. Please note that some pie flavors are better suited to a party atmosphere. We are happy to provide suggestions. + Q: What would I need to bring to the party? A: Nothing but yourself. You are welcome to bring food and/or drinks. We don’t sell alcohol, but we do provide chilled wine glasses and a corkscrew. + Q: I don’t even need my own rolling pin? A: Nope! We provide everything you’ll need to bake the pies, including clean aprons and rolling pins. We’ll have your party set up when you arrive, and while your pies bake, you can socialize, open presents, drink wine, or chat with us. We’ll even clean up after you. + Q: How long are PJP baking parties? A: PJP parties last two hours, which provides plenty of time to bake, have fun, and box up your freshly baked pies! That said, we do ask that each guest arrive promptly for the scheduled start time. Our space may be rented for longer events for $50 per each additional 30 minute block. Please inquire when booking if you are interested in reserving more than two hours for your event. + Q: How much are your parties? A: The base price for our parties is $20 per person, with a minimum charge of $200. This includes all materials needed, and each guest leaves with the baby pie they created and baked. We leave tipping for the party host(s) at your discretion! + Q: How do I know if a date is available for a party? A: Fill out the form above and we will be in touch. We only host parties when PJP is closed to the public - so that’s weekday evenings starting at 6:00 or Saturday afternoons starting at 5 pm. We do entertain limited bookings for Sunday afternoons. If the day is available and you are interested, we require a 50% deposit to hold the date. + Q: It sounds too good to be true…what’s the catch? A: None! We just believe in having a ridiculous amount of fun. Really. Your wedding should be as unique as you are. We want to help make your big day special. After all, pie is the new cake.